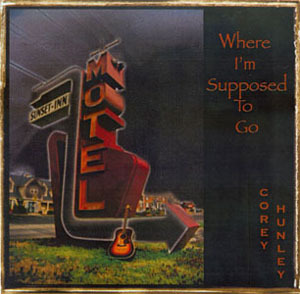 Born in the mountains of Franklin County Corey Hunley is a singer/songwriter who mimics his style after the likes of Steve Earl, John Prine, Reckless Kelly, Chris Knight, Randy Rogers, Matt Powell and Paul Thorn to name a few. You can find him strummin' on his acoustic in most of the local venues. You can hear a mixture of original and cover tunes sure to please the crowd. A lot of times he teams up with good friend Justin Prillaman who plays the likes of Van Morrison, Train, Black Crowes and anything with a Southern mix. You are sure to enjoy yourself and maybe have a laugh or two. See you at the show!